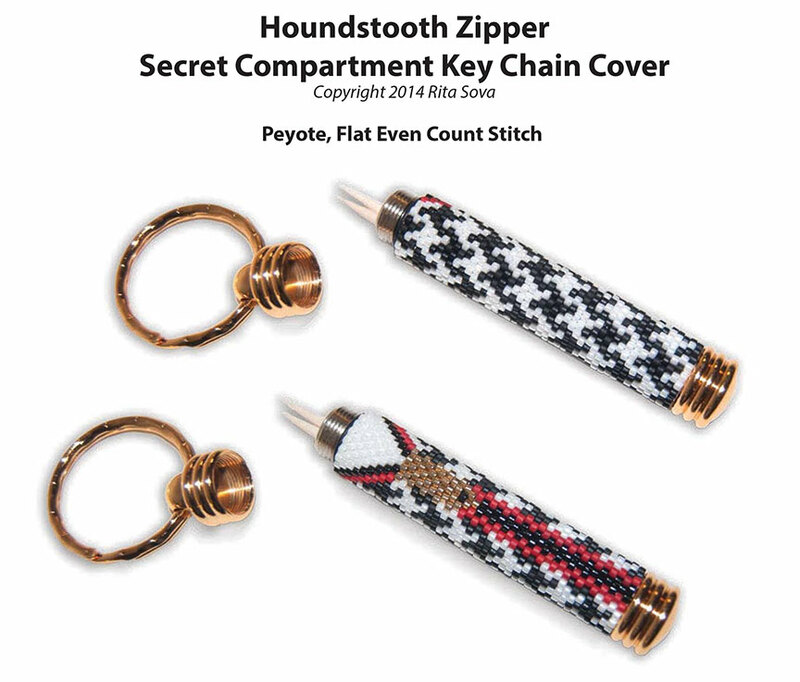 This pattern is designed to fit around a Secret Compartment Key chain. Basic stitch instructions for; Peyote, Flat Even Count. 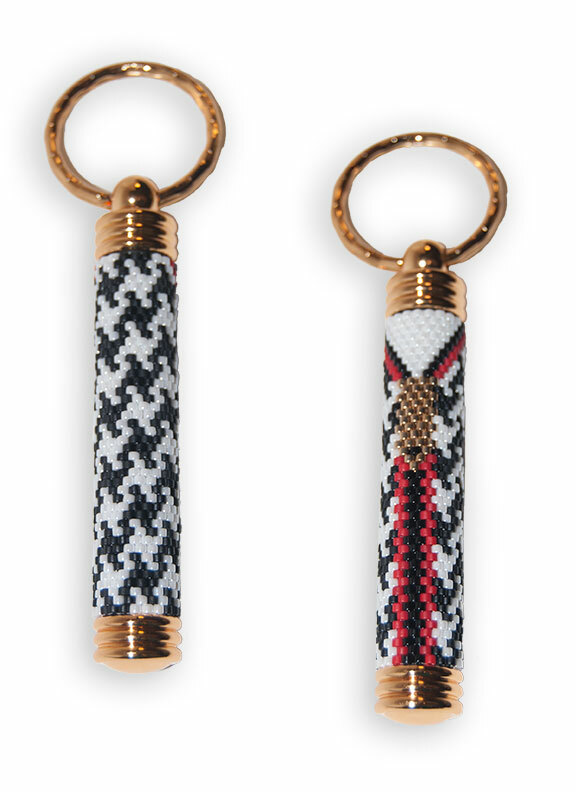 Basic knowledge of bead weaving required; adding and ending threads. Matching Houndstooth Bracelet pattern also available.